One of the challenges facing me every morning is what to wear. there ‘s a plethora of choices in my wardrobe, mostly too refined for working in the engine room of a promotional products depot! You wouldn’t wear jeans and a t shirt to a board room meeting, neither would you dress to the nines for a shift in an Abattoir – you could and I dare say it would lend an air of occasion as you gutted a pig. Clothes say far more about you and your purpose than, say manners. They say first impressions count and we generally see before we hear…so what you choose to put on your back is crucial in conveying who you are and what you do. There’s also a practical element to clothing and you’ll find that with the Bisley Workwear range of promotional clothing, there are garments literally engineered to withstand the harsh working environment on say a building site or shifting boxes down at the docks. They include fabrics designed to repel stains and keep you either warm of cool, depending on the nature of your work and environment. Breathable fabrics are now included in the range, as are 3M products, hi viz colours, product longevity and SPFT40+ protection. Those practicalities out of the way, embroidery options start to make Bisley Workwear not only sensibly and stylish, but economically viable, The ability to brand your logo and team message pays dividends in public and on multi-company environments. It helps galvanise a sense of team spirit and focus members on the task ahead. 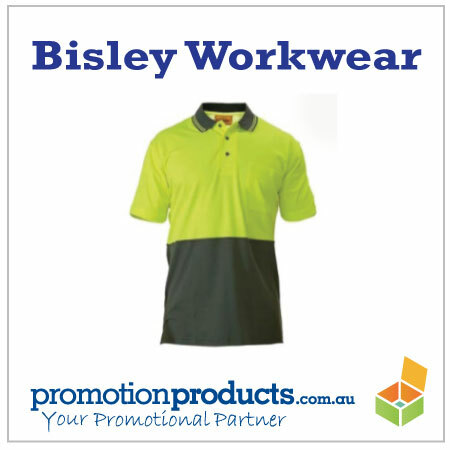 Bisley Workwear has become a recognisable Australian work clothing option for the good reasons above and adopted by businesses across our land. This entry was posted in promotional clothing and tagged branding, catering, clothing, embroidery, outdoors by admin. Bookmark the permalink.